The Greater New Orleans Foundation’s Organizational Effectiveness (OE) Initiative is partnering with the Louisiana Association of Nonprofit Organizations (LANO) and the Bayou Community Foundation to present a Financial Leadership for Board Members workshop, hosted at Fletcher Community College. This session provides a framework for understanding financial leadership specifically within the context of board governance. We’ll focus first on how to read and understand key financial statements and give you hands-on practice with using those statements to assess your organization’s overall financial health. Then, using your real experiences, we’ll discuss how to frame conversations to inform board level decision-making. Assess your understanding of financial leadership and identify areas of improvement. The session will be held on Tuesday, June 27th from 9:00am-12noon at Fletcher Technical Community College-BPIPT Building, Room 206 located at 224 Weatherford Road in Schriever, LA. The workshop is free, but registration is required. Please click here to register. Tasha Cooper, a native of Gainesville, Florida, has spent the past 18 years serving in various capacities for nonprofit organizations including management, marketing & public relations, fundraising and program development. Tasha’s nonprofit career started at 15 when she became a volunteer at Shand’s Teaching Hospital in Gainesville. After High School, Tasha majored in Communication & Public Relations at the University of West Florida in Pensacola, Florida. During her time at UWF, Tasha spearheaded the first fundraiser for the Gulf Coast Kid’s House; a shelter housing victims of domestic violence. 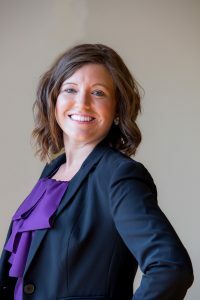 Tasha moved to Louisiana in 2013 and in recent years has served as Division Director for the March of Dimes, Assistant Director of Annual Giving at Southeastern University and currently serves as Director of Member Services for the Louisiana Association of Nonprofit Organizations (LANO).